House an Outsect! Write an Exclamation Mark! 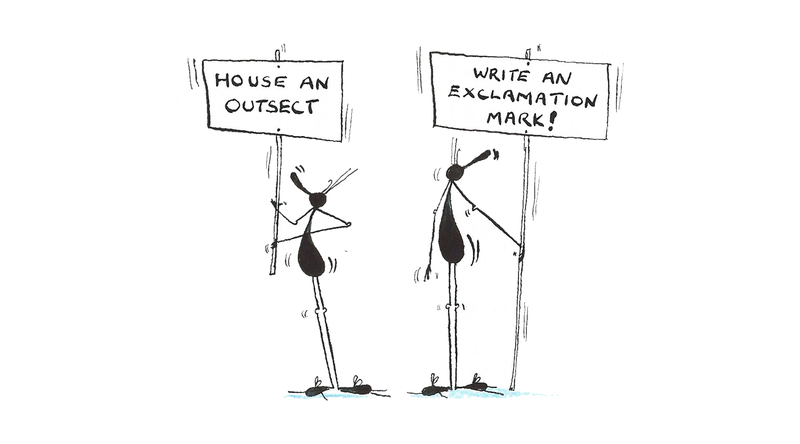 Outsects live on exclamation marks… Please help homeless Outsects by writing lots of exclamation marks!! !